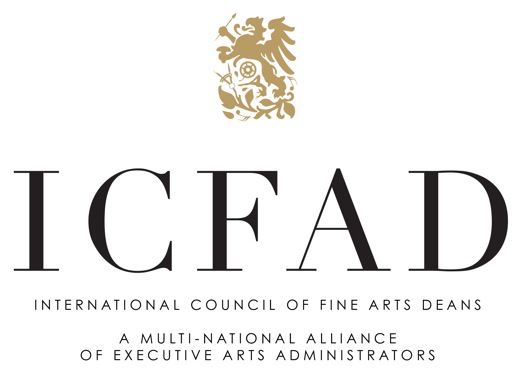 ICFAD’s Career Development Committee is pleased to present The Fellows Program, a professional development program to promote a healthy and continuous pipeline of talented arts administrators who are prepared to move into leadership positions in our institutions. A Fellows Education Program, "Strategies for Developing Leaders," is scheduled for Wednesday, October 3, 2018 as part of the 55th Annual Conference of the International Council of Fine Arts Deans, in Seattle. In addition to participating in the Fellows Educational Program, Fellows will be assigned a mentor from ICFAD membership with whom they meet throughout the Conference. The Fellows Program will take place on the campus of Cornish College of the Arts. When we transfer at 3:00, we will move to the Cornish Playhouse. Associate/Assistant Deans, Chairs, Program Directors and faculty who desire to learn more about the tasks of administration. Participants have demonstrated an interest in pursuing leadership in the arts, and are in or moving into a position of administrative responsibility. Examples of applicable administrative roles include but are not limited to: department chairs, program directors, division or area heads, faculty administrative interns, etc. This session is designed to give participants an overview of fiscal management principles that can be applied to any number of budget models. Where there are people there is conflict. This session gives some tools to help aspiring deans think about ways to manage conflict and work to build a more cohesive team of faculty and staff colleagues. Enjoy one of the many restaurants in the neighborhood. Deans as well as other academic leaders at all levels are increasingly involved in enrollment management decisions, and are increasingly concerned about enrollment impacts on budgets and other resources. This session is designed to introduce participants to the concept of strategic enrollment management, which includes the use of data and best practices for decision-making. Please click here for a printable agenda. Please check back soon to see the list of participants.